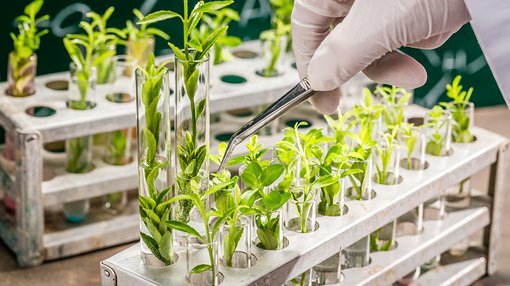 Abundant Produce Limited (ASX:ABT), the only plant breeding company listed on the ASX, has today announced some good news surrounding grants and rebates. As is custom for a small cap like ABT, it has received a Research and Development (R&D) Tax Incentive from the government — this time to the sum of ~A$630,000, which is an increase on the previous estimate of $250,000. Further, the NSW Government’s TechVouchers program will fund a $20,000 project in collaboration with the University of NSW for the Taste of Research Programme and R&D for ABT’s Lycopene ActiveLycoTM products. A third source of funds of over $50,000 will also be received by ABT imminently, thanks to an Export Markets Development Grant (EMDG) return, and a further $110,000 will be coming the company’s way via an Innovations Connections grants from the Australian Government which will fund a new graduate and R&D for future products. The R&D Tax Incentive provides a tax benefit to help companies like ABT offset the cost of conducting eligible research and development activities. Through the program, the government provides a return of up to 150 per cent of costs. A rebate is based on the tax rate for the company, which currently stands at 30 per cent. Administered by the NSW Government, TechVouchers NSW links universities with companies to enable innovative joint research projects. ABT lodged an application to assess the feasibility of supercritical fluid extraction for our Lycopene ActiveLycoTM and received $20,000. With this fiscal support, ABT’s Abundant Natural Health division can deliver its products to the Chinese and Australian markets. The government’s Export Markets Development Grant is an export grant provided to companies that are extending their reach on a global scale. ABT has been exporting seed to the USA, UK and the Middle East for two years and is looking to develop its export revenues further. To assist in ABT’s international success, the Federal Government’s Austrade division has refunded 50 per cent of the company’s export-associated costs — to the amount of $50,000. An additional $110,000 in grants will assist in funding to develop lycopene extraction processes, as well as expenses relating to Chemical Engineering graduate Mitchell Austin from Sydney University. “It is reassuring that the State and Federal Governments are recognising ABT’s innovative work through the TechVoucher and Boosting Business Innovation Programme as well as Innovation Connections, which have helped us accelerate our research and scale up both locally and internationally,” Crimmins said.